A small white sinamay saucer, approximately 30cm in diameter sits on the right side of the head. 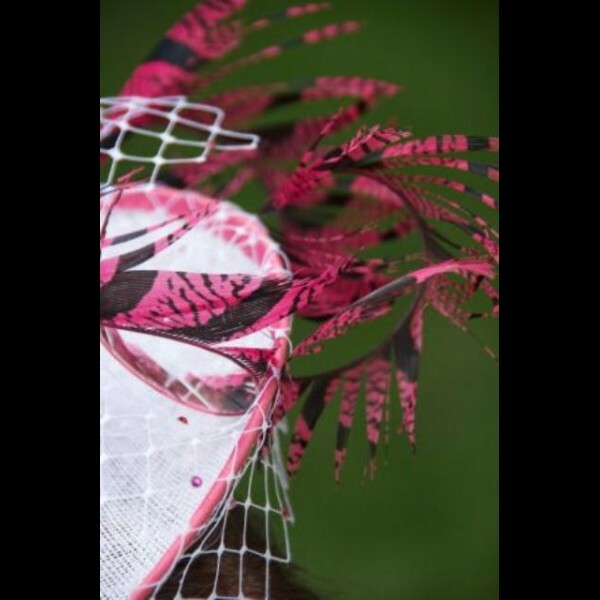 The entire saucer is enveloped in frothy white veiling and topped with lavish curled cerise amherst pheasant tail feathers. 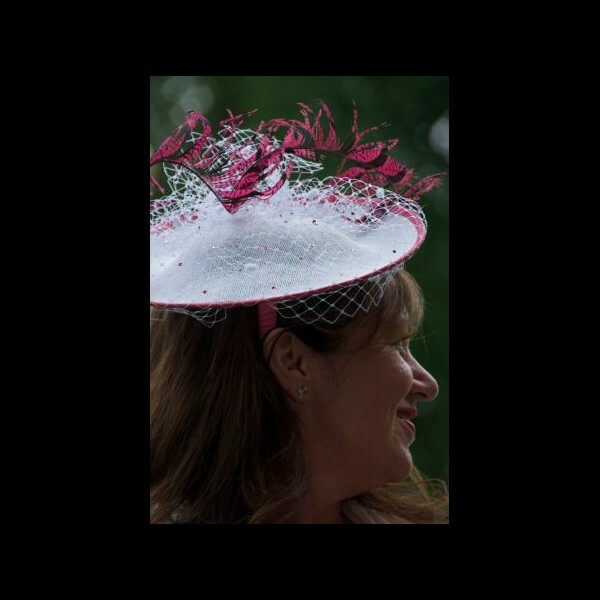 Dotted amongst the veiling are sparkling swarovski crystals in three shades of pink. The saucer is atop a silk covered band.